Use a safety guard whenever possible. Before making a bevel cut, confirm that the guard will be clear of the blade. Do not leave the saw running when it is unattended. If you are interrupted, complete the operation under way before turning off the saw and looking up. Follow the manufacturer's instructions to change accessories; unplug the saw first. Make sure that saw blades and cutters are sharp, clean and undamaged. Before cutting a workpiece, remove any loose knots from it using a hammer. Inspect salvaged wood for nails and screws before cutting. Do not start a cut until the blade is running at full speed. Before using the saw each time, inspect its safety features. Make sure there is no binding or misalignment of moving parts. Do not use the saw until such problems are corrected. Always feed wood into the saw blade against the direction of blade rotation. Make sure the rip fence is locked in position before ripping. Do not use the miter gauge in combination with the rip fence to make a cut-except when the blade does not cut completely through the workpiece, such as for a dado or a groove. 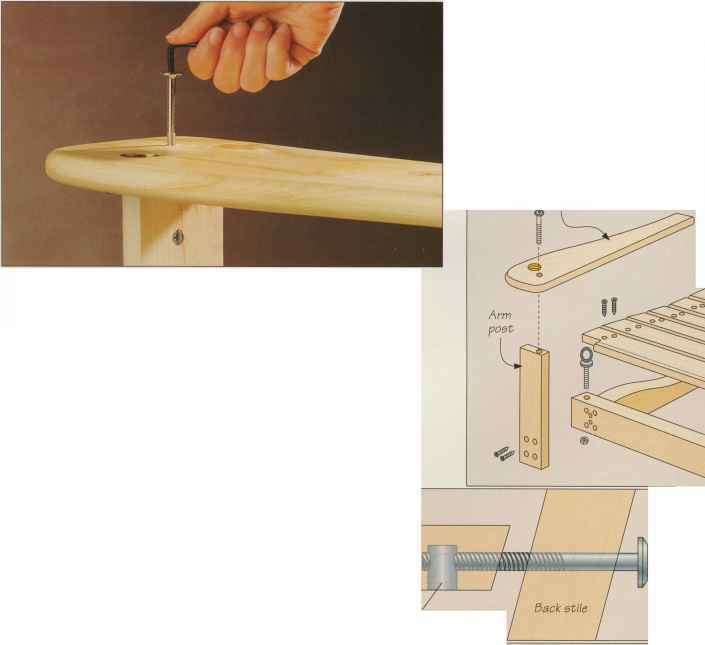 Use the rip fence or the miter gauge for all cutting operations; never attempt to cut freehand. Before ripping a board, ensure that the edge in contact with the rip fence is smooth and completely straight and that the surface against the table is flat. Stand to one side of any workpiece during any cutting operation so you will not be injured in case of kickback. If you have to reach past the blade, make sure to keep your hands at least 3 inches away from it. Use a wooden stick, rather than your fingers, to clear wood scraps from the saw table.